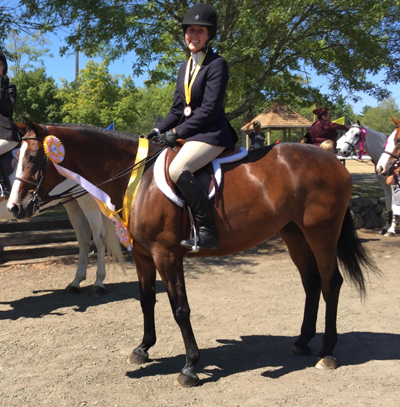 Congratulations to Virginia Martin who rode Dressed to Go to the NH Children's Medal Championship and Reserve Championship in the Hunter Classic. Oli Hochberg rode Axell to multiple wins including the Hunter Classic Championship! Congratulations to Virginia, Oli, and Red Acre Farm! 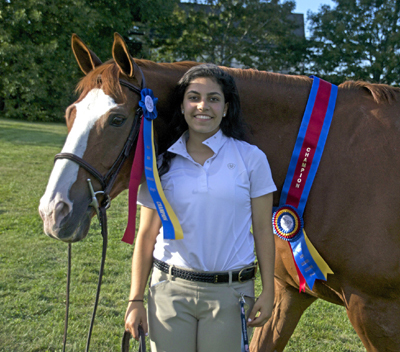 Congratulations to Allessandra Ghezzi on owning her first horse--Bear in Mind! Her pretty cool husband gave him to her on her birthday! 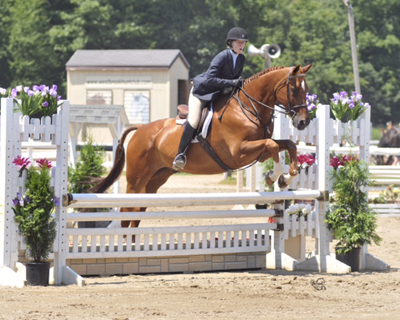 Congratulations to Victoria Kugener on leasing Cool as A Cucumber (aka Wilbur)! Another happy horse has made it's way into Mitch and Kathy Steege's barn. Congratulations to Jane Pickrell on leasing Equador (aka Sox)! 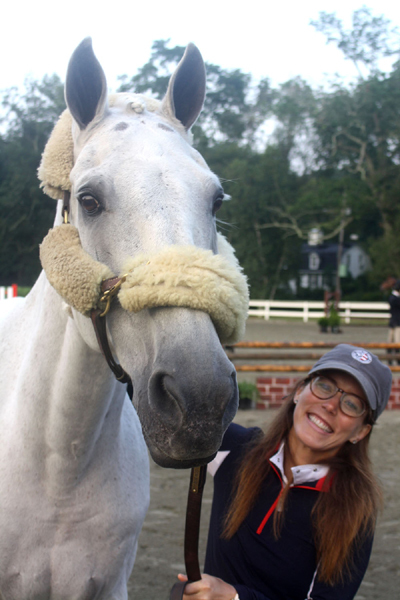 Oli Hochberg is the LUCKY girl who has leased Axell! A big thank you to Carol Hochberg for making it possible. Congratulations, Oli! 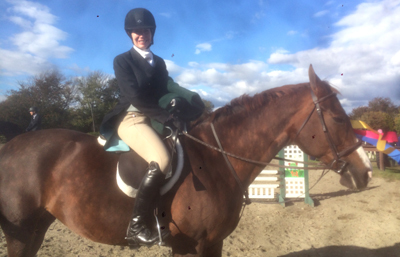 Congratulations to Virginia Martin who rides at Red Acre Farm with Mitch and Kathy Steege on leasing Dressed to Go. We wish her a fun show season! Congratulations to Calei Gerard on 1/2 leasing Winooski! Congratulations to Siobhan Maloney on leasing Holy Moly! Congratulations to Avery Wilson for leasing Brownie Be Good! Congratulations to Lynn Torrey for leasing Corofino's Boy! Congratulations to Paige Mulligan for leasing Happy Feet! Congratulations to Robin Harkins & Pocage Marbelsien for winning the $1,750 2017 SPS 2'9" Hunter Derby! Congratulations to Pepe Burnham on buying "Zarafa" an attractive Dutch WB with a great jump! 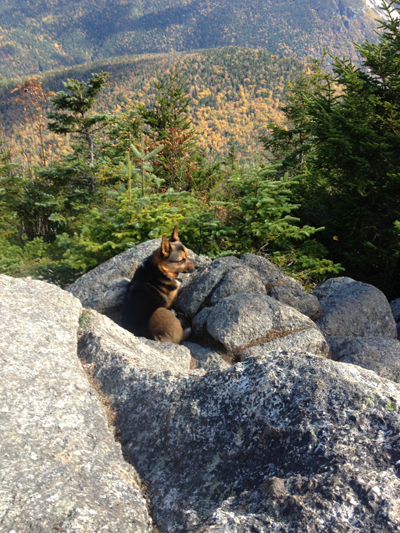 Congratulations to Gina Virga on leasing Swiss Miss! 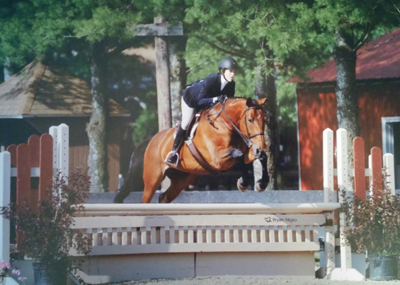 Congratulations to Faith Costello on leasing Mozart! We're sure she'll have a fun show season! 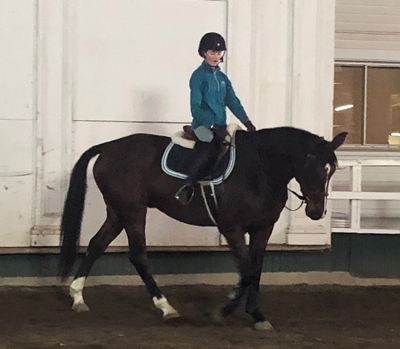 Jay recently heard from a former SPS rider, Jess Deitz, who had moved out of the country and is now back in the US in Detroit and leasing a horse there. She says "It totally reminds me of being back at Sandy Point! The best part was after 20+ years of not being on a horse, I went for a lesson and after 10 min she was like - ok, let’s jump some stuff. Her comment 'You’re good, just loose!' and of course I owe that to you! Somewhere the years of training lay in wait and came out when I needed them. So, thank you!" 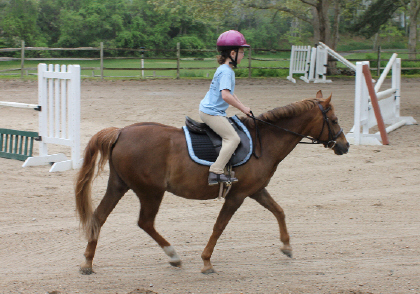 She (and her daughter) are planning a trip to RI this summer and want to take lessons. She concluded by saying: "The barn looks really active from everything I see on the web site! It would be great to see you this summer - but mostly I just wanted you to know that you are still touching my life after all these years!" Congratulations to Michele Ingari on her lease of Nottingham! Welcome to the Sandy Point Team! 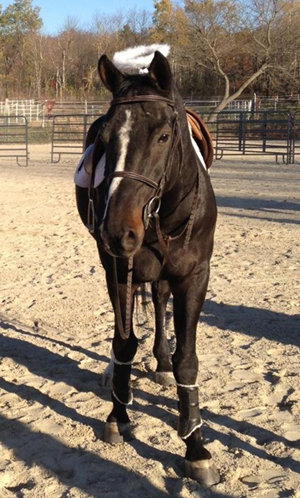 Congratulations to Ali Vanderveer on her half-lease of Ice Capade! Congratulations to Libby Valentini on her lease of Pirate Radio! 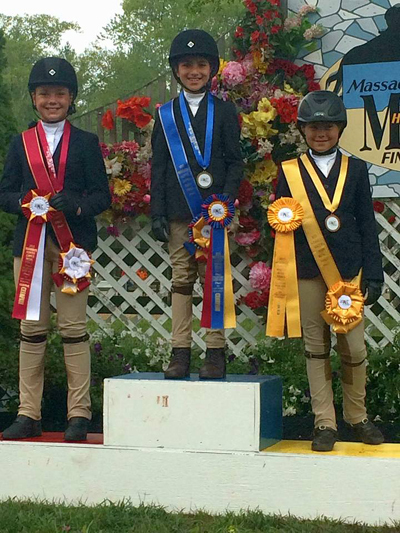 Congratulations to Dressed to Go and Hannah Kauffer who placed 3rd in the 2016 MHJ Children's Medal finals! Congratulations to Emma Fraser on Leasing Holy Moly! Congratulations to Maddie Olvert on the purchase of Zac Brown! Kristen and Cowboy, enjoying the horse walk at RI Finals where they placed 6th in the Adult Mini Medal final. Congratulations to April Huntoon on the purchase of Nottingham! You can see by this picture how great they are together! Congratulations to all of the SPS riders who competed at the 2015 MHJ Medal Finals. Blake was third in the Short Stirrup Medal and Kristen was 5th in the Adult Mini Medal! 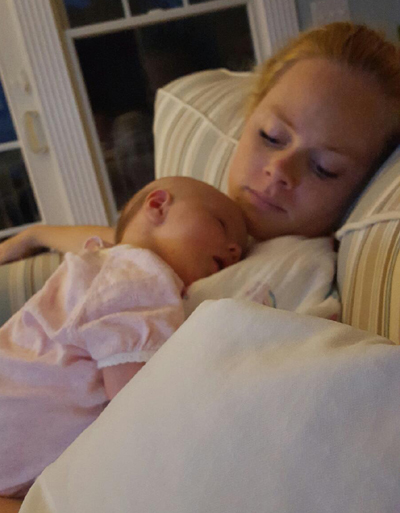 Congratulations to SPS' Eliza Downing and her new baby girl, Allison! Abby Taylor showing Front Page at the Fieldstone Summer Showcase. Looking good!! 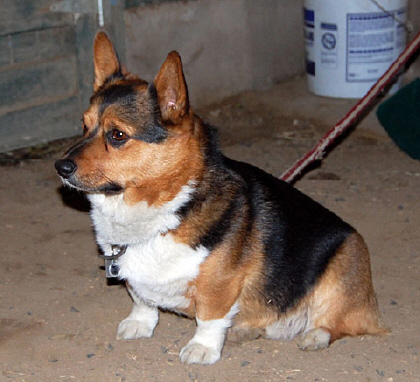 Congratulations to Gracie Goodfriend on leasing Happy Feet! 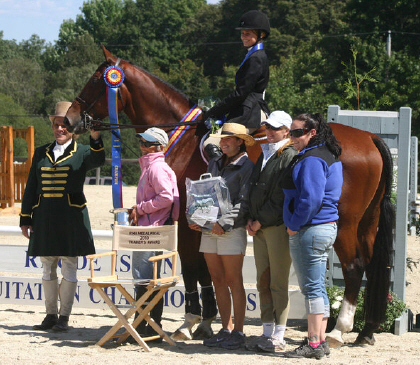 Congratulations to Mozart on being Reserve Champion at the Vermont Summer Festival with 70 horses in the division! Congratulations to Torie Vieira on the lease of Holy Moly! Caitlin O'Neil makes her debut at Grazing Fields on True North aka "Chilimeister"! 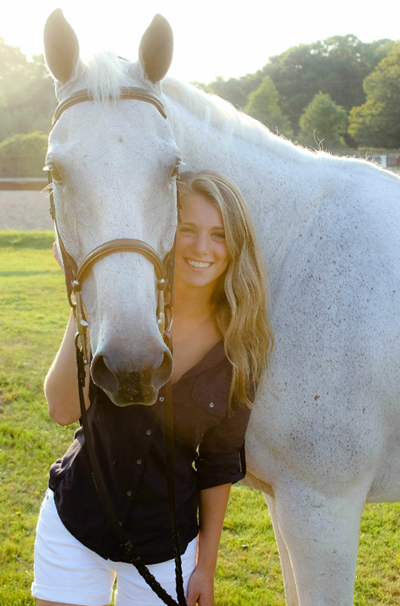 Congratulations to Jenna Fede on the lease of Ice Capade! Congratulations to Symamtha Komola on the lease of Whitecap! Congratulations to Nancy Parker Wilson on the purchase of River Wine! SPS recently bought two new horses: Zac Brown is already happily leased to Maddie Olvert and Holy Moly is even better than Jay thought. 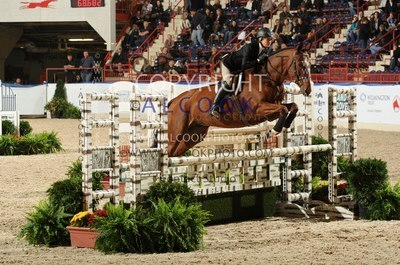 Brook is showing him in RI hunters at SPS! Jay and Nancy Parker Wilson attending a celebration in honor of Nancy's mother. ~ SPS Modified Adult Medal Final - Champion Kristin Sargent Gorman (riding the famous Cowboy!) and Reserve Champion Jenna Fede riding White Cap! 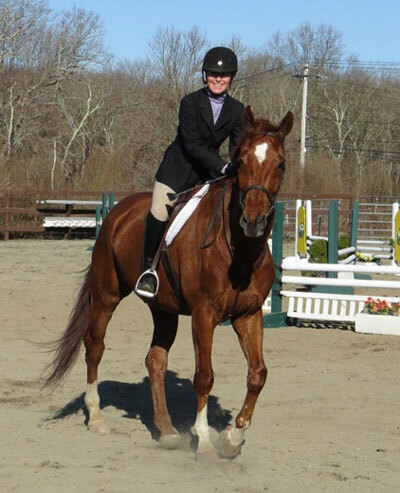 Congratulations to Robin Harkins for earning the Reserve Championship at the 2014 New England Equitation Finals in the older Adult Medal Final. Great job to Robin, Jay and Missy! Congratulations to our own Mr. Carlos for being named the winner of the 2014 Peter Kagan Award at this year's RI Equitation Championships! This award is given to an equitation horse that has demonstrated commitment, athleticism, heart and longevity in the sport; a horse that returns year after year to qualify and compete in the RI Finals. We are so proud of him! Congratulations to Rachel Mordecai and Mozart on being Champions in the Junior NOHO Hunter division at Northampton, August 2014. 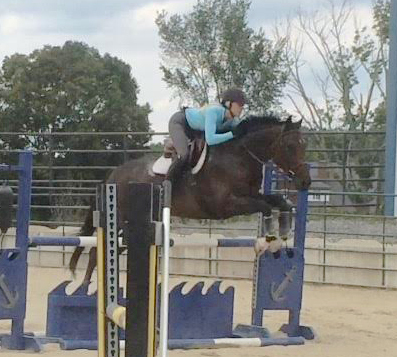 Rachel will be extending her lease of Mozart through the year! Wishing them both continued success! 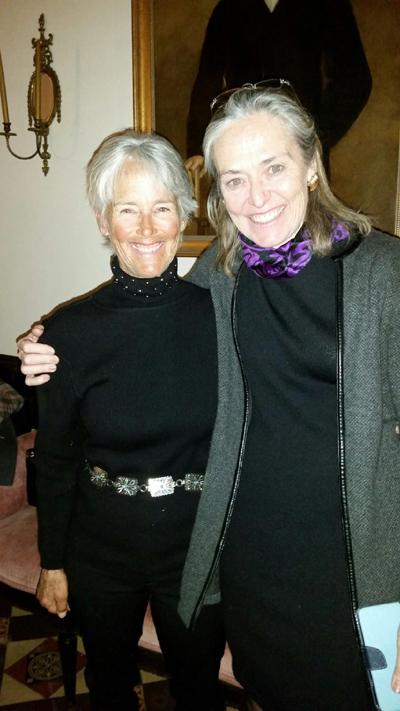 Congratulations to Nancy Parker Wilson and River Wine who had a great show at Westbrook. We love him! A good time was had by all at the Sandy Point Stables Holiday Party! Especially when a special guest arrived--Ronnie!! Congratulations to Cassidy Edmondson on the lease of Parcheesi! Sandy Point Stables brings friends together! 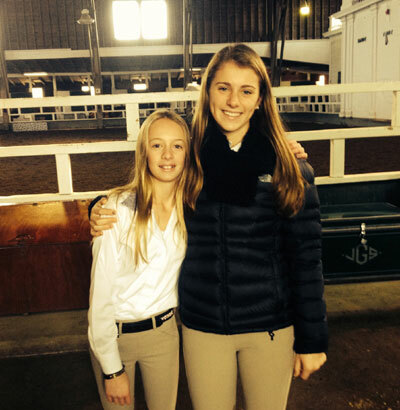 Here's Caroline and April at the last SPS Winter show. While Jay is down on the island, be sure to follow her dolphin adventures by reading her blog: http://jojo-and-jay.blogspot.com/. Congratulations to Samantha Hanson on leasing Dreamworks! Congratulations to Nicole Pietro on leasing Death by Chocolate! Congratulations to Meghan Collins on leasing Snowed In! 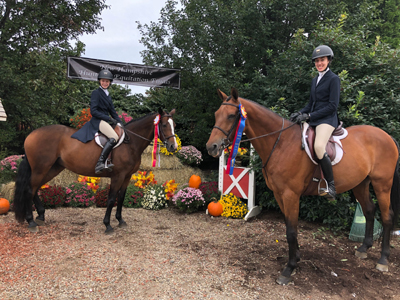 Congratulations to Robin Harkins and SPS's Swiss Miss who won the Reserve Championship in the Adult Medal Finals at the New England Equitation Championships! 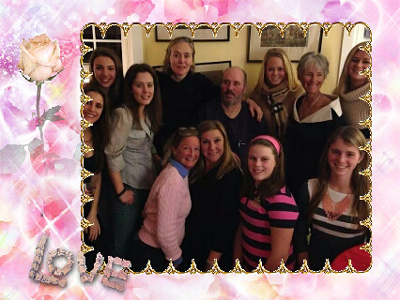 We could not be prouder of your remarkable accomplishments in 2013! 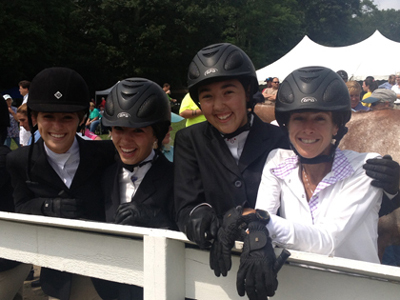 Congratulations to all of our SPS riders for a fantastic 2013 RI Finals! Robin Harkins won the Adult Classic and was 8th in the Adult Medal Championship, Meaghan Costa won the Junior 12-17 Classic and was 6th in the Mini Medal Horsemanship, Katie Solomons was 2nd in the Under 11 Classic and 8th in the Mini Medal Horsemanship, Lauren Alofsin was 4th in the Open Junior Classic, 6th in the Junior Horsemanship & 7th in the Medal Championship, April Huntoon was 5th in the 12-17 Classic, and Nancy Parker Wilson was 8th in the Adult Horsemanship. 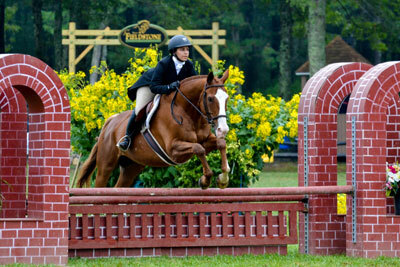 We would also like to welcome Celia Rapp to the SPS Team, who was 8th in the Mini Medal Championship! 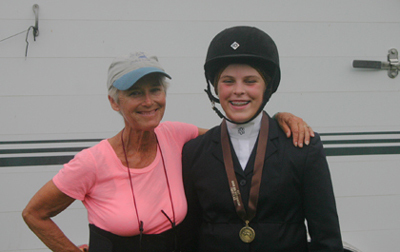 Continuing with a truly amazing year, Robin Harkins and SPS's Swiss Miss won the CHJA Older Adult Medal championship and then went on to win the MHJ Older Adult Medal Championship. Way to go Robin and Missy! Congratulations once again to Robin Harkins and SPS's Swiss Miss who won 4 out of the 5 Amateur Adult Hunter over 35 classes at the Fieldstone Summer Showcase (she was second in the other class!)! 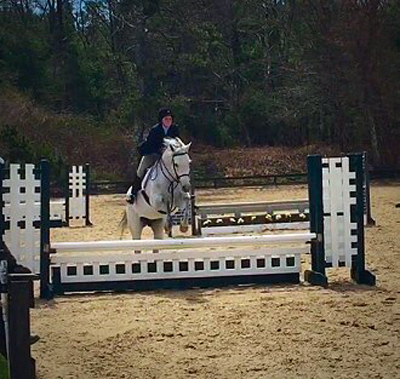 At the same show, Meaghan Costa rode Rio Ruben to a win in limit eq and 12-14 eq over fences! Congratulations to Robin Harkins on leasing Swiss Miss! Congratulations to Dan Forte and Wifi on winning the $1500 Hunter Derby at the 2012 SPS Medal Day! 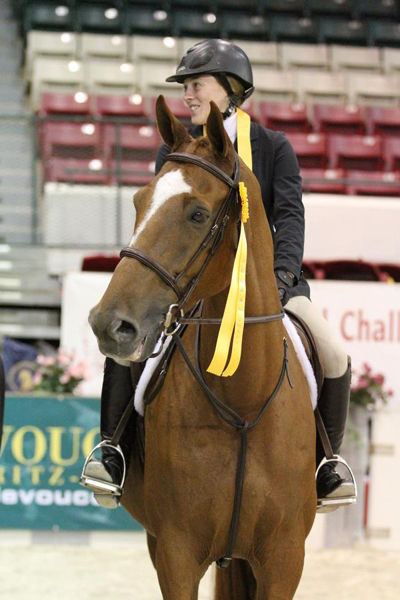 Congratulations to Lauren Alofsin and Equine Boulevard's Sweet Baby James who had to go first out of 257 riders at the 2012 Pessoa/US Hunter Seat Equitation Medal Finals. Lauren put in a great trip and James was so brave! We are all very proud of you! Congratulations to Quinn Traendly and SPS' Parcheesi on placing 3rd in the Ariat National Adult Medal Finals at the Capital Challenge Horse Show! 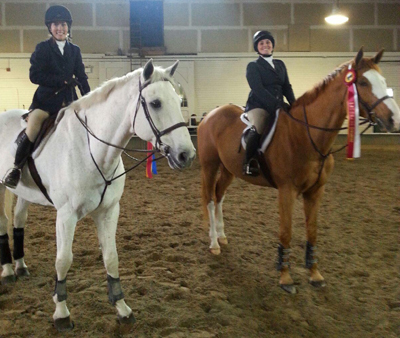 UPDATE: Quinn and Cheesie also placed 3rd at the 2012 New England Equitation Championships! 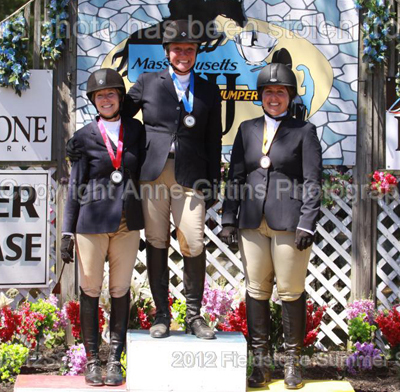 Congratulations to Robin Harkins on her third place bronze medal in the 2012 RI Equitation Championships. She scored an 82 in the first round, putting her on top going into the second round. We are very proud of her! 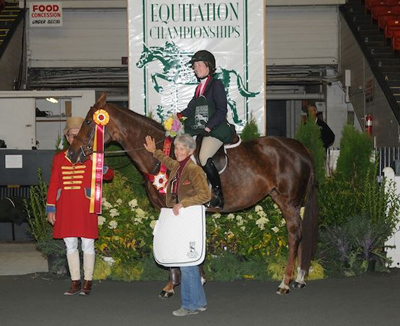 Congratulations to Tara Lombardi who was the IEA Novice Flat Champion at IEA Nationals. We are so proud of you! Dear Jay; Dreamworks is absolutely beautiful and Georgia is over the moon with her as are all of us! She has the best temperament in the world and Georgia is now grooming her by herself. 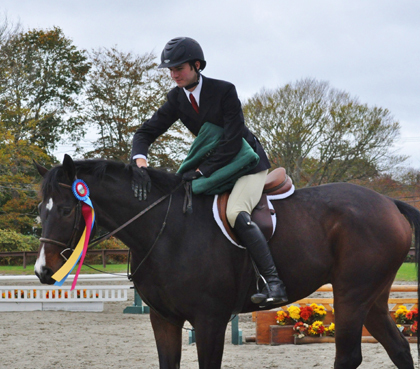 Congratulations to Lauren Alofsin on winning the RI Equitation Championships Mini Medal Final aboard Keystone! 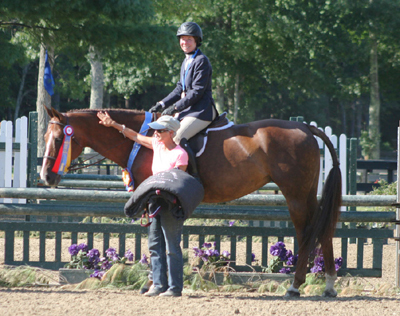 Sandy Point riders all had a great day at the RI Finals, including Jay who was a co-winner of the High Point Trainer award! 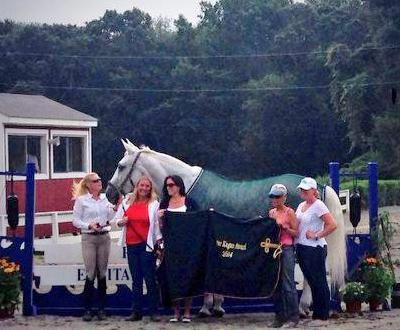 Caroline Lake won the Adult Mini Classic aboard Mr. Carlos! 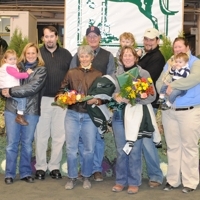 A special congratulations to Jay who received the Lifetime Achievement Award at the 2010 New England Equitation Finals!!! 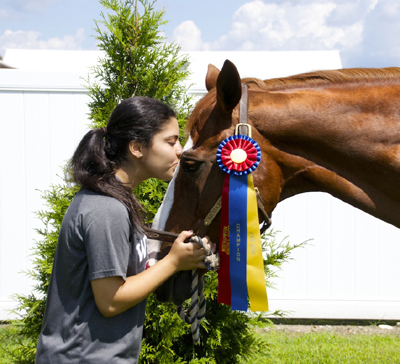 This award is presented to a professional horse person that has had a positive affect on the New England horse community. This could be evident in their talent as a professional, unselfish giving, volunteer work, and or life-long commitment to the horse industry. Pam Hunt also received the award. We couldn't be prouder of Jay! 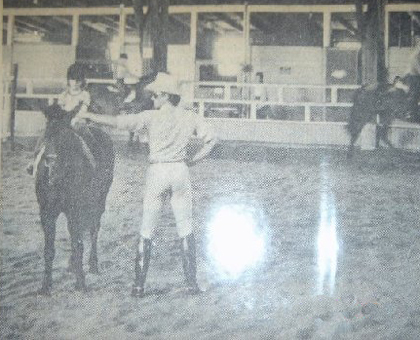 Mason Phelps many moons ago at SPS giving a clinic. Liz Prime is the little person! !